Retirement time for a dependable workhorse! I am going to do some tweaks to my photography kit. Over the coming weeks I will be selling some lenses, and buying a couple of replacements for the wide end of my photography kit. I will be saying goodbye to the Samyang 14mm 2.8, Canon 16-35mm 2.8L II and Canon 45mm 2.8 TS-E. Certainly without a doubt the 16-35mm 2.8L II is a great lens, a real workhorse. I have got a lot of great images from it. Its been with me around the world, a few times in fact. It’s typical Canon L, reliable, dependable and well made. I like its metal body, constant length, good image quality, weather sealing and its versatility. The 16-35mm range is great for all wide angle photography. I have had the lens since I got it new in 2012. I do think it’s time to move on though. We now have a different market, more competition, and some very good unique offerings. The Tamron 15-30mm 2.8 VC, 16-35mm 2.8L III, 16-35mm 4L IS. Sigma 14-24mm 2.8 Art and Sigma 12-24mm f4 Art lenses are strong alternatives, which really show the older lens is getting long in the tooth. Oddly though, it is the 16-35mm’s versatility that is its undoing for me. I think zoom lenses make you lazy, and I enjoy working with prime lenses. The range of the 16-35mm meant that I was often using it – too much. I also think that nowadays every man and his dog has a 16-35mm lens which just makes it less appealing to me somehow. I like to be different. You are not going to stand out if you do what everybody else does! I will be selling the Samyang 14mm 2.8 lens which I got a couple of years ago. Fun inexpensive lens on fullframe. It gives you access to 14mm on fullframe for little money, and also has good image quality. But the mechanics are horrible, and it just isn’t nice to use in the field. The all manual lens has no AF confirm chip, which make it difficult to use on the run. The distortion profile is also horrendous! Just unacceptable. It was fun for a bit, but I personally will not be missing this lens. Finally, the 45mm 2.8 TS-E also must go L. I really like this lens, even with its quirks. I will miss this lens, it’s a lot of fun to use, and unlock creative possibilities that are truly unique to tilt-shift lenses. I need the capital for other lenses, and besides, there is a new 50mm 2.8L TS-E Macro lens announced which will drive down the prices of the 45mm version. The 45mm was released in 1991… and it does show. The mechanics are fantastic, and it’s a pleasure to use. However, the optics are not perfect. It’s sharp at close distance from f2.8-16, but at medium and far distances, it’s not that strong a performer. It also does not focus close which the newly announced 50mm version will fix, increasing its appeal and usefulness. So what are we getting!? I am going to boost my wide angle coverage and get the new Sigma 14-24mm 2.8 Art and 18mm 2.8 Zeiss Milvus. These lenses offer excellent mechanics, build quality and optics. Both are sharper than my 16-35mm 2.8L II was and offer less distortion. The Zeiss Milvus 18mm 2.8 lens will be great for landscape and architecture, and offers amazing image quality. There is a certain look to Zeiss images, their colour and rendering are truly unique. The Sigma 14-24mm 2.8 Art is a brand new option, which will back up the 18mm 2.8 while giving easy access to 14mm. I plan to buy the 50mm 2.8L TS-E Macro some time in 2018, likewise, I might get the 12mm 2.8 Laowa or 11mm f4 Irix lens for some extreme wide-angle fun. I look forward to playing with the new lenses, and I’m sure they will offer a lot of great pictures! Of course its not about the gear, but more the dedication to photography, experimenting and learning. One belief I have though is that you should invest in the lenses, and buy the best you can. Bodies and sensors come and go. Hey everyone, i just wrote a review on the excellent Sigma 50mm 1.4 Art lens! Sigma 35mm 1.4 Art Review is up!! Guys I just posted my first lens review! The Sigma 35mm 1.4 DG HSM Art lens was the first lens Sigma made with their new Global Vision philosophy. The Art range is supposed to consist of premium lenses aimed at photography enthusiasts and professionals. 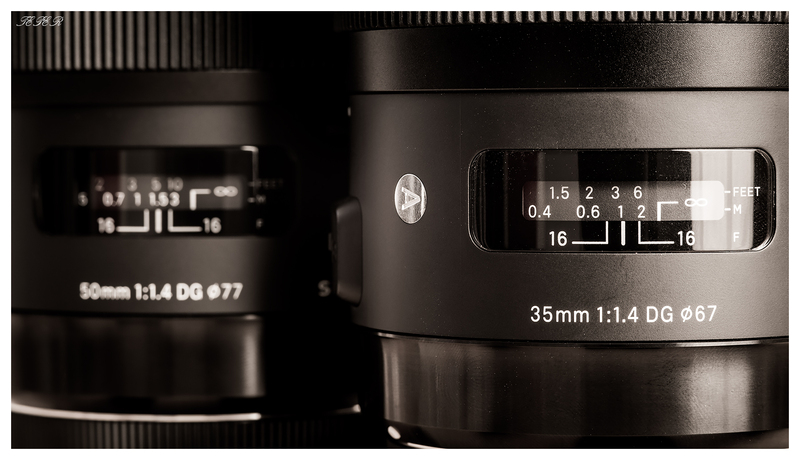 Sigma is one of the more well known 3rd party lens manufacturers, and have provided decent lenses at good prices. This particular lens retails for about 600 bucks less than the Canon EF 35mm 1.4L lens. Unfortunately, Sigma lenses of the past have been flawed by poor AF accuracy, and other QA problems. The Global Vision program vowed to address this problem. This review is more a field test than a hard-core technical review, there are other websites that will do that much better than here. This review is based on personal experience, having owned the lens for more than two years….